One of the major reasons why some people choose to embark on a career in freelance writing is that it can offer a fair bit of freedom. Without any set working hours or a direct boss who can dictate which days you must work, a freelancer has the opportunity to adjust his hours as he sees fit. It is for this very reason that I will be able to take an extended lunch break today so that I can enjoy the company of a couple of good friends. That’s not to say that the life of a freelancer is completely fun and fancy-free. 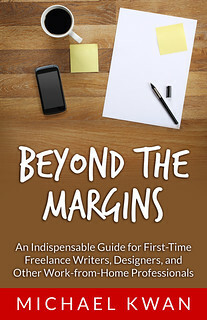 The relative freedom afforded to freelancers comes at a price. In short, you have to earn your freedom with hard work. If you have an ongoing relationship with some of your freelance clients, you may have daily commitments to them. For example, I am expected to blog daily for BlueFur and Mobile Magazine. When I need to take a day off during the week, I need to make arrangements to ensure that these clients are still receiving the service that they deserve. I may make use of the time stamp feature in WordPress, for example. In any case, I need to plan for these days off. The same can be said about extended lunch breaks. Perhaps more important than your writing ability or your ability to market your freelance services is your work ethic. Without a direct supervisor, it becomes far too easy to slack enough and let things slide. This is not the road to success as an entrepreneur. If you want to succeed as a freelancer, you have to be responsible and self-driven. No one is going to tell you exactly what to do. If you don’t take responsibility for your assigned projects and don’t take care of your clients, you will soon find yourself without any customers at all. Your reputation as a freelancer can get marred pretty easily. Under-serve one client and they may tell others to avoid you as well. Before you choose to take a break, make sure that arrangements have been made and your clients will be well served in your absence. It is only then that you have truly earned the time off. P.S. If you’re wondering about the relevance of the dog picture, consider the life of a guard dog. By working hard protecting the home of his family, the dog earns the right for a romp in the park or another fun excursion. Responsibility and freedom are not confined to just people, you know. Beeing a freelancer should be a well considered step. As freelancers we’re responsible for our own reputation and consequently our own success! I agree on what Dana said:) We also have the power to be successful. Just make use of our time wisely.